Can You Visit Canada with Underage DUI? In the United States, DUI penalties for drivers under the age of 21 are particularly harsh. In most states, anyone under 21 operating a motor vehicle with a blood alcohol content (BAC) of .02% or higher can be cited for impaired driving under "zero tolerance" laws for underage drivers. Some states, such as California, are even more stringent about underage DUIs with laws that make it illegal for anyone younger than 21 to drive with a BAC of .01% or higher. And even less forgiving still, several states including Alaska, Arizona, and Illinois all have true 0.00% BAC zero-tolerance DUI laws for individuals under 21 years old. In these states, any BAC over 0% (even the slightest trace of alcohol in a person's system) can trigger a DWI for the minor. A few states also have "hybrid" DUI rules that allow police to not only charge young drivers for a .01%+ BAC, but to also charge drivers under 21 with a full blown "adult DUI" if their blood alcohol concentration is greater or equal to .05%. While the exact BAC threshold to trigger a "DUI under 21" varies from state to state (and many states have more than one vehicle code related to drinking & driving while a minor), for the purposes of crossing the Canadian border an underage DUI/DWI/DWAI violation may render an individual inadmissible to Canada depending on the exact situation. A "baby DUI" with a BAC below 0.08 may not necessarily render an American inadmissible to Canada if it does not equate to a hybrid or indictable offense, but it is advisable to obtain a legal opinion letter from an experienced Canadian immigration attorney if your trip is important. Impaired driving is a serious crime in Canada punishable by up to ten years in prison, so if border agents see anything in a visitor's past that is related to alcohol and driving there can be problems. If a DUI or DWI is pled down to a lesser offense such as dangerous driving or reckless driving, it can still cause the individual to be turned away by Canadian border officials. 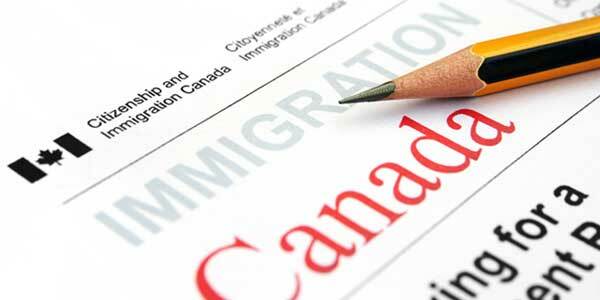 If an offense renders a person criminally inadmissible and they are interested in crossing the border into Canada, they can overcome their criminal inadmissibility with a Temporary Resident Permit or Criminal Rehabilitation to avoid the risk being denied entry. Even after a DUI is erased via an expungement, a traveler can still face challenges crossing the border. If a person was under 18 when the drunk driving offense occurred, however, he or she may still be admissible for entry into Canada provided they were charged as a juvenile offender. Visitors to Canada must be able to justify their admissibility if challenged, so if you have any alcohol-related driving arrest on your record, including a DWI reduced to reckless driving, be aware that Canadian border officials may ask about it. A baby DWI can also get flagged by an airline if you apply to become a flight attendant, as most airlines with routes to Canada require new hires to be able to travel internationally. If you have ever been arrested or convicted for a zero tolerance "under 21 DUI" and are interested in traveling to Canada, phone us now for a free consultation! Our border attorney has extensive experience helping Americans overcome inadmissibility so they can fly to Canada without headaches. There is generally a well-defined difference between drunk driving and violating a zero tolerance law for minors due to the consumption of a tiny amount of alcohol. In Wisconsin, for example, the Absolute Sobriety law which is commonly referred to as the "Not a Drop" law is specific to alcohol. When it comes to operating a vehicle while on drugs, however, there is frequently no "baby version" of the law, and even a minor can be charged with a full adult DUI drugs (DUID) if they are caught driving while under the influence of marijuana or another intoxicating substance.